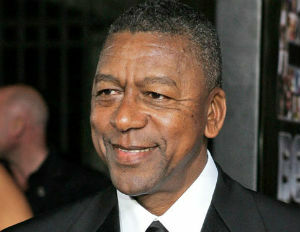 BET Founder Robert L. Johnson applauds the bill introduced by Republican South Carolina Senator Tim Scott, the bipartisan Senate Resolution 11, which draws ideas from both Johnson’s “RLJ Ruleâ€ and the National Football League’s Rooney Rule. It encourages hiring practices to ensure that applicants from every walk of life are given an opportunity to participate in the hiring process. Scott was joined by cosponsors Senators Rand Paul (R-KY), Rob Portman (R-OH), Marco Rubio (R-FL), Cory Booker (D-NJ), Sherrod Brown (D-OH), and Kamala Harris (D-CA) in this effort to inspire the recruitment of minorities and underrepresented groups to senior-level positions in corporate, academic, and social entities across the country. “I want to commend Senator Scott for introducing S. Res. 11, which calls for companies to increase diversity in the workplace and minority business opportunities, through enhanced best practices, by interviewing at least two qualified minority candidates for management positions, and at least two qualified minority businesses for vendor contract opportunities prior to making a hiring or contract decision,â€ said Johnson, founder and chairman of The RLJ Companies, in a released statement. 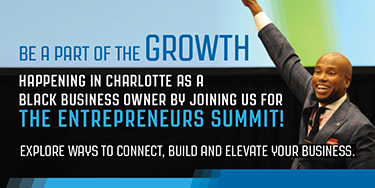 Johnson is one of the ultimate BE 100 CEOs to ever grace the covers of BLACK ENTERPRISE magazine. A legendary serial entrepreneurs of black business, the BET founder and billionaire has, over the decades, owned companies in every category except for advertising in BLACK ENTERPRISE‘s annual ranking of the nation’s largest black businesses. Johnson currently serves as founder and chairman of RLJ Companies, a self-described innovative business network on a mission to provide strategic investments in a diverse portfolio of companies. Today, that portfolio includes hotel real estate; private equity; financial services; asset management; automobile dealerships; sports and entertainment; and a video lottery terminal gaming business. There are 10 companies to date, with three of them earning spots on the 2016 BE100s list of the nation’s largest black-owned businesses: RLJ Equity Partners (No. 11 on the BE Private Equity Firms list, with $231 million under management); RLJ Credit Management (No. 12 on the BE Private Equity Firms list, with $134 million under management); and RML Automotive (No. 1 on the BE Auto Dealers list, with $1.5 billion in revenues).